“Cross the line. 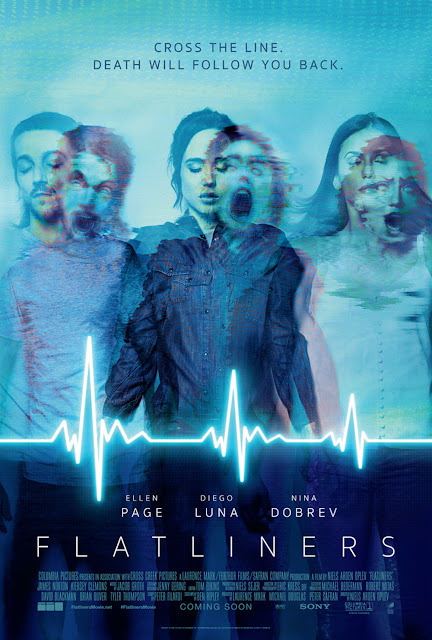 Death will follow you back,” warn the two new posters for Columbia Pictures’ new suspense thriller Flatliners which have just been released by the studio. Flatliners is distributed by Columbia Pictures, local office of Sony Pictures Releasing International.